It’s link-up time! 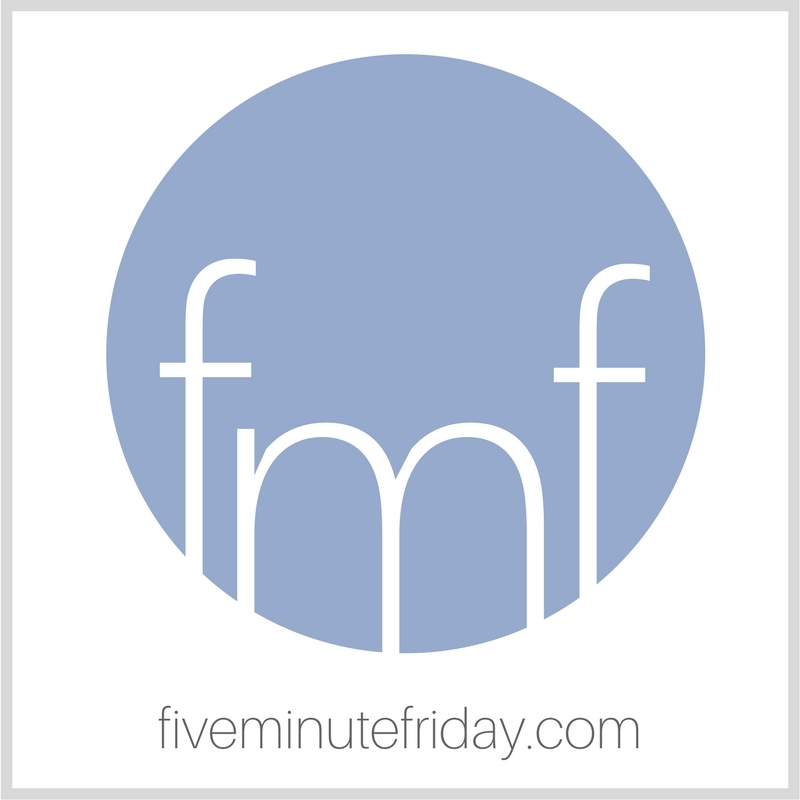 Join us for our weekly Five Minute Friday link-up, where we write for five minutes flat on a one word prompt, then link up our writing, read each other’s work, and leave encouraging comments. Writing, in general, can be a very solitary effort. We sit alone with our own thoughts crowding from every side. It’s not long before we get in our own way. Doubts encroach, insecurities swell, procrastination knocks at the door and we quickly answer it. We trip over ourselves and remain content to stay down. At least then nobody can see us. But that’s not how God intended for us to live. He made us for community. As people crafted in His image, we were created for relationship. Don’t go it alone. Invite others into your writing life. Take a risk. Ask a writing friend to meet for coffee. Invite someone to guest post on your blog. Attend a poetry reading at your local library and start up a conversation with someone you’ve never met. Writers: Take a risk. Invite others into your writing life. Most of all, we must realize that we can’t do this writing thing without the Word incarnate. When we forget to invite Him and His Spirit into the process, we’ll get nowhere real fast. Open those barred doors of your heart. It’s scary, yes. But the rewards far outweigh the fears. Make a list of five people you’d like to invite to your blog, either in the form of a guest post or an interview. Then email one of the people on your list with an invitation to contribute. What steps will you take this week to invite someone into your writing life? Extremely valid point, Kate! (Also — I messed up with #5 and linked to your post instead of mine (sigh…….)). If you’re able to delete #5 that will be less confusing to people! Sorry about that. Yes, I’m inviting new friends into this writing process. At the Breathe Conference, I met a new friend my area and we planned to meet up in November. I’ll extend that invitation. Thanks for the reminder. Great challenge Kate. I haven’t personally invited anyone yet (next step). I did put a call out to my FB friends and Anchor friends. Probably an unconscious way of doing the challenge without it being too challenging. But, I will email someone today with an invitation. Before you even told the word, I finally did. Exact day. Wow. Big eyes happenin over here. I read this one after reading your Day 14 post. Lots to think about. Thanks for taking the time to read and comment, Marie! That’s a great idea, Jess! I’ve appreciated your faithfulness in posting your daily free write in the FMF Facebook group. There are so many ways you can make connections on Facebook. Keep up the great work!